Is a spring hunting referendum justified? The Coalition for the Abolition of Spring Hunting has recently been advocating for a national referendum that would see a complete abolition of spring hunting in Malta, effectively removing the EU derogation agreed between the Maltese government and the European Union during the country’s 2004 accession. While Maltese law clearly dictates that a signed declaration by 10% of the electorate is legal ground for an abrogative referendum, is the move by this coalition justified? I have always openly stated that I am in favour of legal and sustainable hunting, and I cannot not sympathise with the plight of those law abiding Maltese hunters. In a multilateral institution such as the EU, it is often very easy for minorities to be pushed aside. While the notion of ‘hunting’ as a ‘hobby’ (or delizzju in Maltese) seems to raise eyebrows in other European countries, it still represents an important activity to a considerable portion of the Maltese population. It is often very easy for people to forget that not all hunters are bad and that the majority are happy to practice their ‘hobby’ within the constraints of the EU derogation for spring hunting. At the same time, one cannot simply overlook the numerous documented cases of abuse by certain hunters during spring, where they target protected species for sport. The situation has even caused international outrage, including an article last spring by environmental personality Chris Packham, who expressed his disbelief at the spring hunting season in Malta. As such, is a Referendum justified? My personal view is an all resounding YES. If both the Nationalist and Labour party are afraid of taking action against illegal hunters for fear of losing votes, then someone needs to step up – and who better than the other individuals who also carry a vote? It seems pretty ironic that we may end up in a situation where the same thing that hindered governments from taking action will end up creating the necessary change. I do feel sorry for the law abiding hunters, but they had a decade to ponder ways of how to save their spring hunting season. A simple solution would have been to expose those illegal hunters, but this never transpired and only aggravated a public which had long been irritated with the hunting community’s shenanigans. 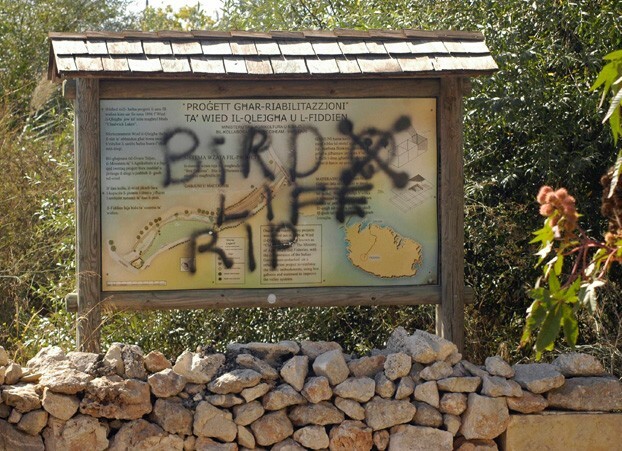 As such, I urge those who have not already filled in a petition form to do so and return it to BirdLife Malta by the end of the month. I cannot help but feel disappointed at our political parties for not having the balls to stand up to these bullies, but I am thankful that democracy will eventually help bring this overdue issue to a close.